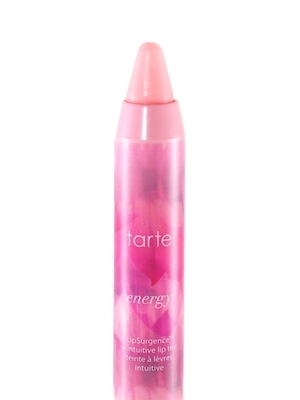 What are your favorites from tarte? Lights, Camera, Lashes 4-in-1 mascara ($20). 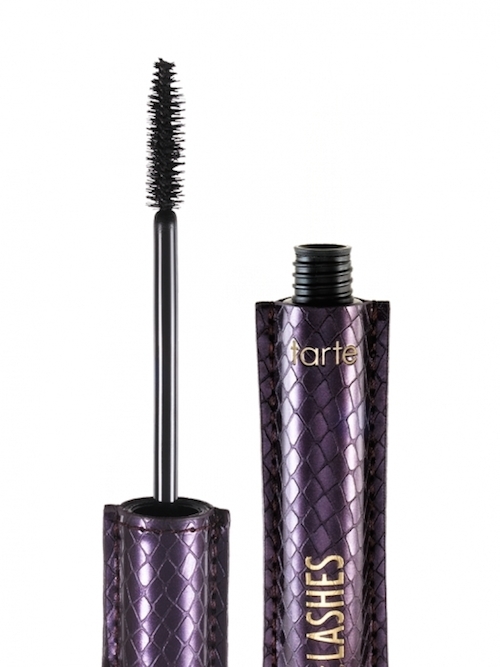 This vegan-friendly mascara does everything and I’ve been using it for years with good reason – it lengthens, fattens, curls, and conditions. It’s mini bristles grab onto every lash and the formula is so smooth (thanks to its olive esters, which help condition as well) so your lashes won’t end up looking all spidery. Skinny smolderEYES Amazonian clay waterproof liner ($19). This liner does justice to its vivid shades of bronze and emerald, but it’s the black onyx I love for everyday. The sponge on one end lets you smudge it for a smoky effect, but you can leave it straight and bold and it’ll stay in place. 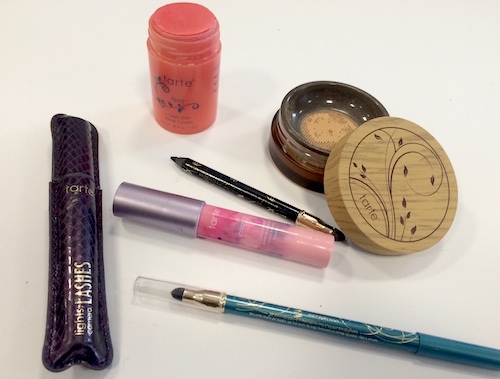 It’s so hard to find liners that won’t end up all over your face by the end of the day. Even my sister-in-law converted to it once she found that it’s one of the few liners that won’t irritate her eyes. Cheek stain ($30). I never used a balmy cheek stain until I came across this in Tipsy. Its’ a beautiful peach stain that gives you a dewy finish but has just enough color to give some life to your complexion. It’s also doing double-duty with its antioxidants like maracuja, goji, acai, and pomegranate which have skin-restoring benefits. LipSurgence skintuitive lip tint ($24). 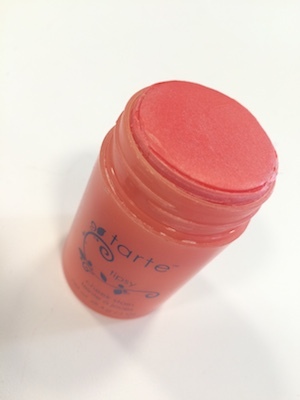 I keep this at my desk because it helps condition my lips with its emollients and helps boost collagen, but also works with your natural pH to give an adjusted amount of tint. The ones above I wear almost every day, but I need to give some honorable mentions for their Amazonian Clay Full Coverage Airbrush Foundation, and Clay matte palette eyeshadows which I’ll use on occasion and haven’t failed me yet. Any other tartlettes out there? Which products are your favorite? Let me know if I have to try more!